Be the first to hear about their new releases and deals. Download the Booksprout app and search for Ann Omasta today! 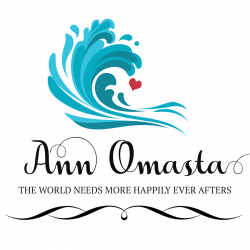 Ann Omasta is a USA Today bestselling and Kindle Scout winning author. 1. I despise whipped cream. There, I admitted it in writing. Let the ridiculing begin. 2. Even though I have lived as far south as Key Largo, Florida, and as far north as Maine, I landed in the middle. 3. If I don't make a conscious effort not to, I will drink nothing but tea morning, noon, and night. Hot tea, sweet tea, green tea––I love it all. 4. There doesn't seem to be much in life that is better than coming home to a couple of big dogs who are overjoyed to see me. My other family members usually show significantly less enthusiasm about my return. 5. Singing in my bestest, loudest voice does not make my family put on their happy faces. This includes the big, loving dogs referenced above. 6. Yes, I am aware that bestest is not a word. 7. Dorothy was right. There's no place like home. 8. All of the numerous bottles in my shower must be lined up with their labels facing out. It makes me feel a little like Julia Roberts' mean husband from the movie Sleeping with the Enemy, but I can't seem to control this particular quirk. 9. I love, love, love finding a great bargain! 10. Did I mention that I hate whipped cream? It makes my stomach churn to look at it, touch it, smell it, or even think about it. Great––now I'm thinking about it. Ick!